Since 1984, Motive Gear has supplied drivetrain components around the world. 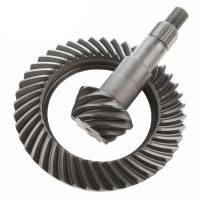 PitStopUSA.com offers a variety of Mopar 8.75" Ring and Pinion from the biggest brands in drag racing including Motive Gear Mopar 8.75" Ring and Pinion, Richmond Gear Mopar 8.75" Ring and Pinion and more at low everyday prices. PitStopUSA.com offers a variety of Dana 35 Ring and Pinion from the biggest brands in drag racing including Motive Gear Dana 35 Ring and Pinion and more at low everyday prices. PitStopUSA.com offers a variety of Dana 44 Ring and Pinion from the biggest brands in drag racing including Motive Gear Dana 44 Ring and Pinion and more at low everyday prices. 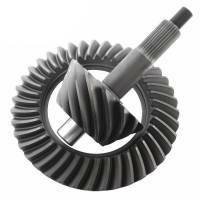 PitStopUSA.com offers a variety of Dana 60 Ring and Pinion from the biggest brands in drag racing including Motive Gear Dana 60 Ring and Pinion, Richmond Gear Dana 60 Ring and Pinion and more at low everyday prices. Check out the Recently Listed Differential Carrier Components. 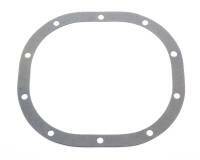 Check out the Recently Listed Differential Cover Gaskets. 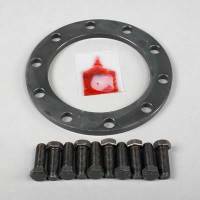 Check out the Recently Listed Flat Washers. Pit Stop USA is The Online Motorsports Superstore! 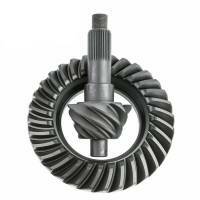 We feature Ford 8.8" Ring & Pinion at low everyday prices. Pit Stop USA is The Online Motorsports Superstore! 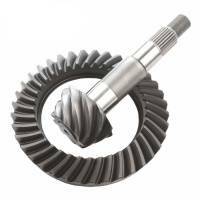 We feature Ford 9" Ring & Pinion at low everyday prices. Motive Gear AX Performance Lightweight Ring and Pinion Set - 5.29:1 Ratio - Ford - 9"
Motive Gear AX Performance Lightweight Ring and Pinion Set - 5.37:1 Ratio - Ford - 9"
Motive Gear AX Performance Lightweight Ring and Pinion Set - 5.43:1 Ratio - Ford - 9"
Motive Gear AX Performance Lightweight Ring and Pinion Set - 5.57:1 Ratio - Ford - 9"
Motive Gear AX Performance Lightweight Ring and Pinion Set - 5.67:1 Ratio - Ford - 9"
Motive Gear AX Performance Lightweight Ring and Pinion Set - 5.83:1 Ratio - Ford - 9"
Motive Gear AX Performance Lightweight Ring and Pinion Set - 6.00:1 Ratio - Ford - 9"
Motive Gear AX Performance Lightweight Ring and Pinion Set - 6.14:1 Ratio - Ford - 9"
Motive Gear AX Performance Lightweight Ring and Pinion Set - 6.20:1 Ratio - Ford - 9"
Motive Gear AX Performance Lightweight Ring and Pinion Set - 6.33:1 Ratio - Ford - 9"
Pit Stop USA is The Online Motorsports Superstore! 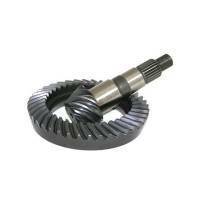 Since 1984, Motive Gear has supplied drivetrain components around the world. 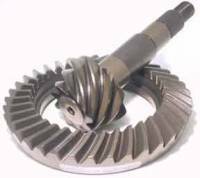 Motive Gear offers drivetrain products including Motive Gear ring and pinions. Motive Gear Performance Ring and Pinion sets include Motive Gear Ford 9" Performance Ring and Pinion Sets featuring a heavy duty standard weight ring and pinion set for the popular 1957-up Ford 9" rear end, made of 8620 material which has been heat treated for extra strength and durability. Pinion diameter is 1.313" with 28 splines. Ring gear installs with 10-7/16" x 20 RH bolts and fits aluminum or steel housings. Choose from 17 ratios ranging from 3.50 through 6.50. 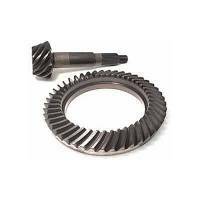 Motive Gear Ford 9" aAXa Performance Lightweight Ring and Pinion Sets are considerably lighter than standard ring and pinion sets, aAXa Series gears will improve performance and durability. Heat treated 8620 material is used and the gears will fit aluminum or steel housings. Pinion diameter is 1.313" with 28 splines and ring gear installs with 10-7/16" x 20 RH bolts. Recommended for use in NASCAR, NASCAR Cup, NASCAR Grand National, NASCAR Craftsman Truck, ARCA and other sanctioning groups. Choose from 22 ratios from 4.30 through 7.33. We feature Motive Gear Ring & Pinion Sets and Motive Gear Performance Ring & Pinion Sets at low everyday prices!